This elegant and sophisticated floral viscose Tango Dress with black tulle inserts is perfect for dancing or an evening out! This is one of our customers’ most coveted Tango Dresses thanks to its cut its extremely flattering cut that suits all body types and sizes. The bronze inserts draw lines on the body that create the optical illusion of a slimmer waist while taking the attention away from the abdomen area. 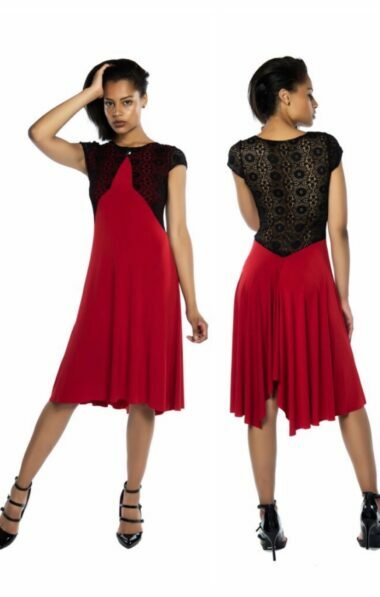 This Tango dress is part of our “Easy Fit” line of Tango Dresses.